Some 13% of manufacturing firms have already adopted collaborative robots, though they only became available in 2014 according to a new report from ABI Research. Manufacturers are increasingly adopting collaborative robots to work alongside humans to increase efficiency: 13% of manufacturing companies currently have collaborative systems in operation, and another 15% said they plan to have these collaborative robots at work within the next year, according to a report from ABI Research, released Thursday. Manufacturing firms with more than 250 employees were the most likely to have these systems in operation already, or to have plans to implement them in the next year, the report found. These numbers are significant given that commercial class collaborative robotic systems only became readily available in 2014, the report noted. 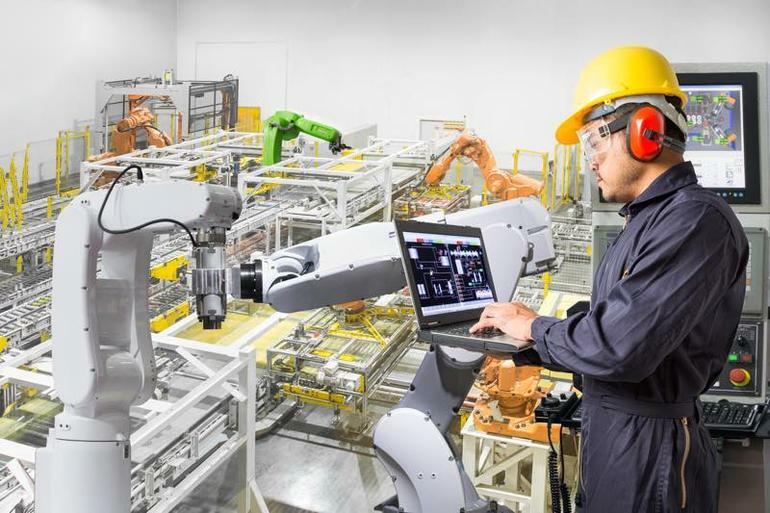 The rapid growth of collaborative robots is due in part to large, established suppliers as well as new, smaller companies introducing collaborative robotics technologies into the market, ABI Research noted. These companies include Universal Robots (Teradyne), KUKA, Rethink Robotics, ABB, Kawada Industries, Fanuc, Franka, Denso, and Comau. Michigan, Ohio, and Indiana are the US states currently using the highest number of industrial robots, driven by the auto industry and other manufacturing-heavy verticals, according to a recent Brookings Institution report. But fear not for your job just yet: Many experts predict that robots will continue to complement human workers, and free them up to do higher-level tasks, rather than completely replace them. However, a recent report from Ball State University predicted that half of low-skilled US jobs were at risk of being replaced by automation in the future. 2. These numbers are significant given that commercial class collaborative robotic systems only became readily available in 2014. 3. It’s likely that robots will continue to complement human workers and free them up for higher-level tasks; however, they will potentially replace certain low skill workers.